Israeli PM Benjamin Netanyahu Comments on "Operation Pillar of Defense"
By Daniel Horowitz--In response to the ongoing missile attacks perpetrated against the men, women and children of southern Israel by Hamas in Gaza, Israel today launched defensive operation Pillar of Defense. The operation comes following a stern warning from Israeli Prime Minister Benjamin Netanyahu that he would not simply sit idly by while his country’s citizens were being attacked. "I would ask you, I'd ask any person around the planet: What would you do if your population was targeted day after day?" Israeli government spokesman Mark Regev told CNN, before adding, "you have to see our operation as fundamentally defensive." Egypt recalled its ambassador to Israel on November 14th, the Israeli Foreign Ministry said. A senior Israeli official said its ambassador to Egypt returned home, but that move wasn't related to the ongoing violence. The official wouldn't comment on whether Israel had pulled its entire diplomatic staff from Egypt. 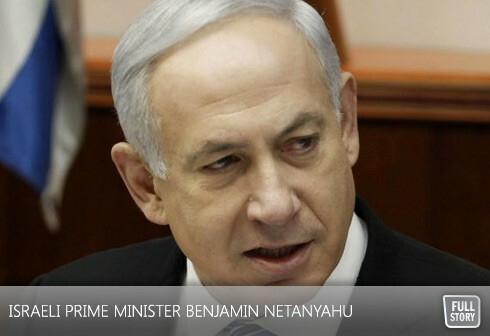 Today, Prime Minister M Netanyahu commented on the situation in Southern Israel and Operation Pillar of Defense. (Communicated by the Prime Minister's Media Adviser) "Citizens of Israel, I want to praise the IDF soldiers and commanders, led by Chief of Staff, Lieutenant General Benny Gantz , who is commanding the operation as we speak. I want to note the Israel Security Agency, headed by Director Yoram Cohen, for their vital part in the operational accomplishments that we have already achieved. I thank the citizens of Israel for their unwavering support of this operation. I thank the residents of southern Israel who are at the front, and exhibit strength and restraint. Hamas and the terror organizations decided to escalate their attacks on the citizens of Israel over the last few days. We will not accept a situation in which Israeli citizens are threatened by the terror of rockets. No country would accept this, Israel will not accept it. Today, we hit Hamas strategic targets precisely. We have significantly debilitated their ability to launch rockets from Gaza to the center of Israel, and we are now working to disable their ability to launch rockets towards the south. The terrorist organizations – Hamas, Islamic Jihad and others – are deliberately harming our citizens, while intentionally hiding behind their citizens. On the other hand, we avoid harming civilians as much as possible and that is one fundamental difference between us. It also indicates the big difference between our objectives, and not only in our methods. They want to obliterate us from the face of the earth and they have no qualms about hurting civilians and innocents.